It seems that you are right good catch. But this should have been submitted in the "Version 0.96 Bug Reports" thread. It's a known bug, and SpaceEngineer has fixed this for the next version/patch. As smjjames said, this is known and will be addressed for the next version. Also, you should have posted this in the bug reports thread. I've told you about this before. If you don't stop breaking rules and also making unacceptable posts like this, you will not be allowed to post on the forum. Try to be mindful of your posts. I have no idea what existing thread to put this in or create a new thread for it. Copied from the image dump thread. Seriously, this terra wouldn't be in this orbit for very long. Yes I know SE doesn't do gravitational simulation, but this one just screams out as no way that this could be stable for billions of years. Also, the terras orbit doesn't have a high inclination. It's possible that the two could be in resonance, but I don't know how to calculate that. 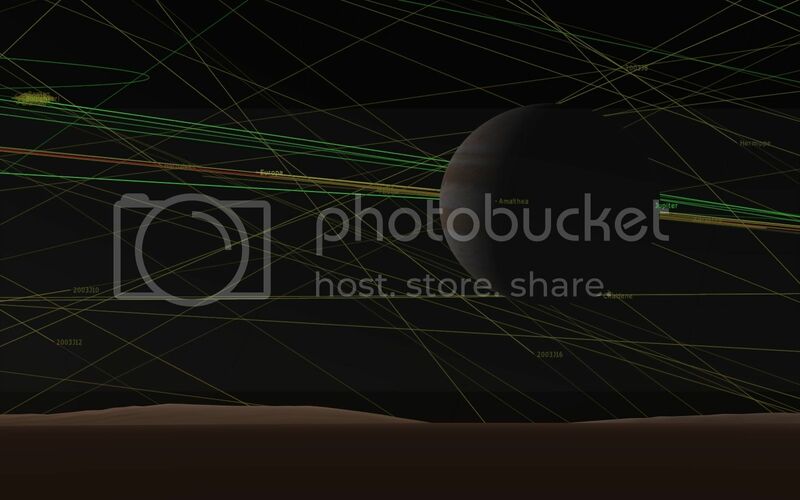 I've seen other planets (such as gas giants, which would certainly throw everything that it's orbit crosses) with elliptical orbits that intersect others, so maybe some kind of intersecting orbits check is needed? Also, I read somewhere that it does a planetary collision check within 1,000 years. I don't know if that goes both ways, forwards and backwards or not. 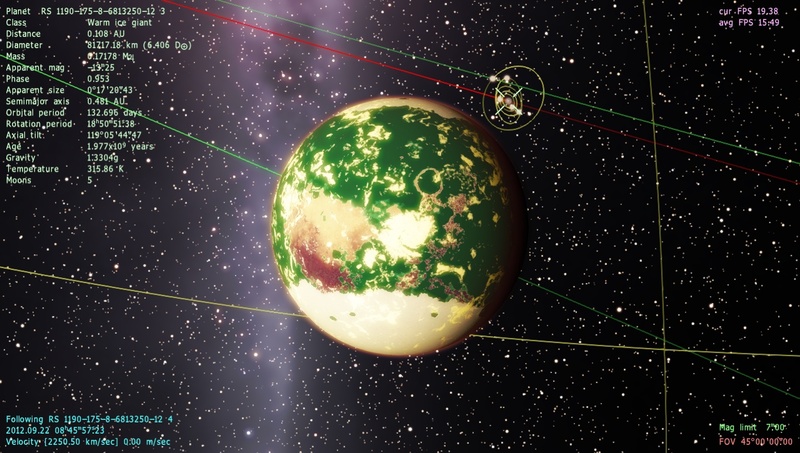 Orbit lines are cut off by any planets/moons/objects, if the rendered orbit line actually should be in front of the e.g. planet. Here's an example, the orbit line of Almathea, orbiting in front of Jupiter from the camera point of view (on Io), is not visible. Maybe this can be solved. Thank you. This is not bug. NASA's Spitzer Space Telescope has detected light emanating from a "super-Earth" planet beyond our solar system for the first time. While the planet is not habitable, the detection is a historic step toward the eventual search for signs of life on other planets. 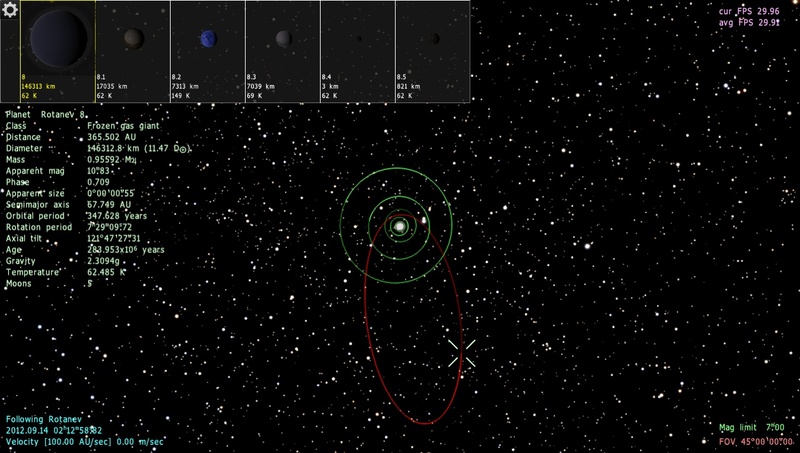 The planet you're referring to, 55 Cnc e, is not one of these planets with eccentric orbits. In any case, no one is denying that eccentric worlds can exist, only that the one smjjames would not be stable. That's all the report is saying. Exactly, I'm aware of those elliptical orbits and we have found plenty of real planets with eccentric orbits. As HarbringerDawn tried to explain, what I'm saying here is that the presence of that gas giant there and the fact that the orbits cross would mean that the orbit of the terra is not stable. If the gas giant wasn't there, then it would be stable. 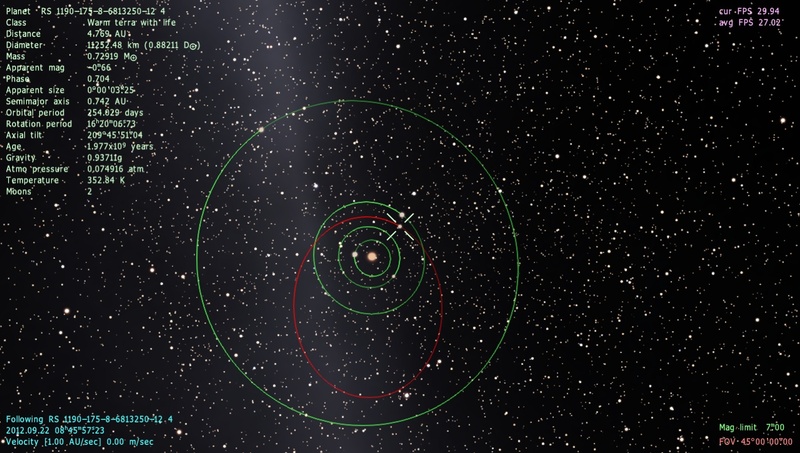 SE doesn't simulate gravitational interactions with the other planets in the system, but it does need a check for orbits that cross each other or are close to each other like that. Found another one, although this time it's a gas giant with a long elliptical orbit. 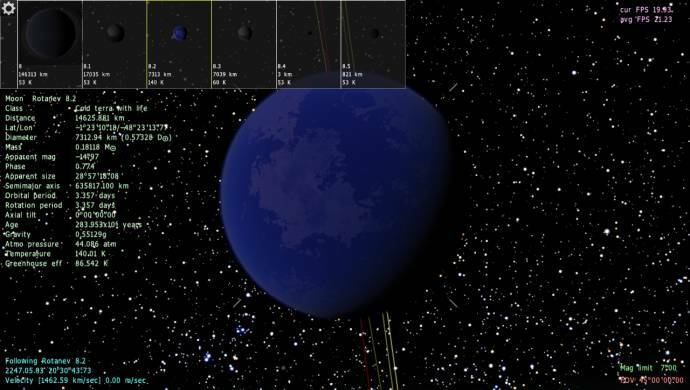 I found this when looking through the catalog for life bearing systems and spotted this as a cold terra far from it's host star. The last time I found a cold terra with life, it somehow dissapeared due to some kind of glitch, however, it turned out that it's parent gas giant has a long elliptical orbit. When I saw this, it reminded me of that gas giant that was found with a long elliptical orbit that was more extreme than this one. I was wondering on the outscirts of a procedural galaxy, and I found a very remote system away and above the galactic disc. On this system there was a beautiful earth-lool terra and I though I may go get some screenies. But as I started approaching the terra, and at some point from its surface (around 1k-3k kms) I was instantly teleported to the surface of our sun!. Fortunately I had saved the location of that terra in order to go back and re-check. Unfortunately I am posting from workplace PC which does not have SE . So when I go home I will post the location and see if anyone else can reproduce this. An interesting fact is that, when I get teleported onto sol surface, I can not select the location again from F6 menu. I have to exit SE and restart.